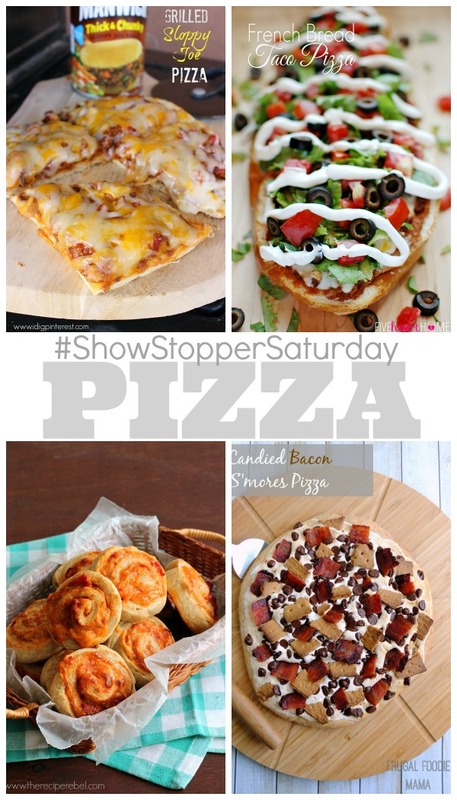 Show Stopper Saturday Link Party #56 With Creative Pizza! I am so happy to be back to hang out with you all! I’ve had such a fun and adventurous summer with my family. But, I’m super delighted to see what you all have been up to since I’ve been gone. The other thing I’m really thrilled about is that we have expanded our party. I’m happy to announce our two new hosts every week– Taylor, at Food Faith Fitness and Melanie at Melanie Makes! They are two amazing women. You are for sure going to have to give them a visit! But, I’m most excited to see what you have brought to the party! Don’t forget to visit and follow ALL of our HOSTS to see if you were featured. 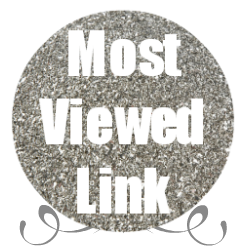 We also share our favorites links during the week while we’re being social. 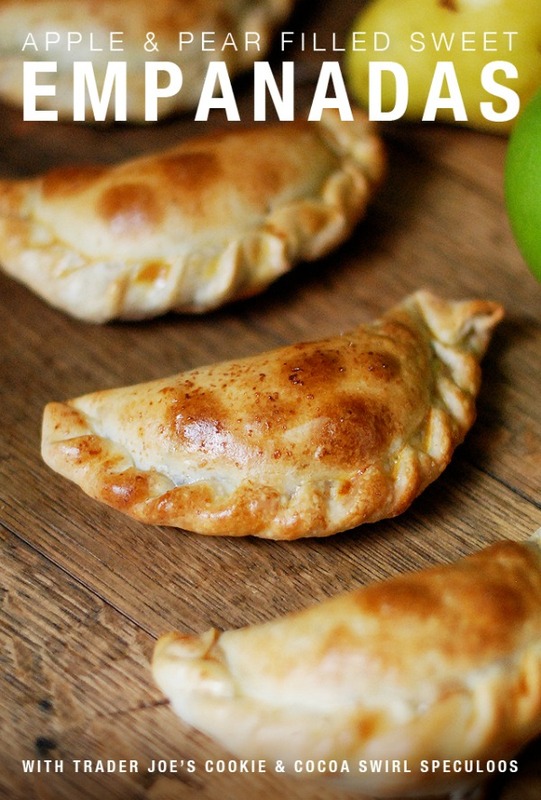 I am absolutely loving how creative and fun these PIZZA recipes are below! LOVE the new blog design, Gloria! It looks so fresh and inviting. 🙂 Thanks for hosting the party. I hope you have a great weekend! Thanks so much for hosting another fun party. Suzanne of Simply Suzannes at Home recently posted…early September . . . So happy to see what you’ve been up to, my friend! Big hugs! It’s looking gorgeous over here lady!! Glad you are back! Missed you – love & hugs! You are so sweet, Gina! Thank you so much. (Need to design my header very soon. Then it will be finished over here!) Hope you are having a great start off to your week. Think of you often, my friend! Yay! Glad you’re back doll! Thank you for a lovely party! Heather, you seriously always make me smile! 🙂 Hope your weekend was a fabulous one! Thanks for hosting! Great link party with lots of good ideas. Started following on Google +. Gloria recently posted…Show Stopper Saturday Link Party #56 With Creative Pizza! So happy to see you back!!! Missed you so much 🙂 ! Thank you so much, Lyuba! You are amazing and you’ve been in my thoughts often. You always inspire me! Hope you are having a wonderful start to this week! Hugs! Great to have you back Gloria!! I took the summer off of blogging myself as well…..having too much fun with the family! I love the new blog design!! Have a great week. Gloria! It’s so great to see you back!! The new blog design looks fantastic! Thanks to you and the ladies for hosting the party and have a wonderful week, my friend! Cindy Eikenberg recently posted…Best of the Weekend + An Announcement! Great party. 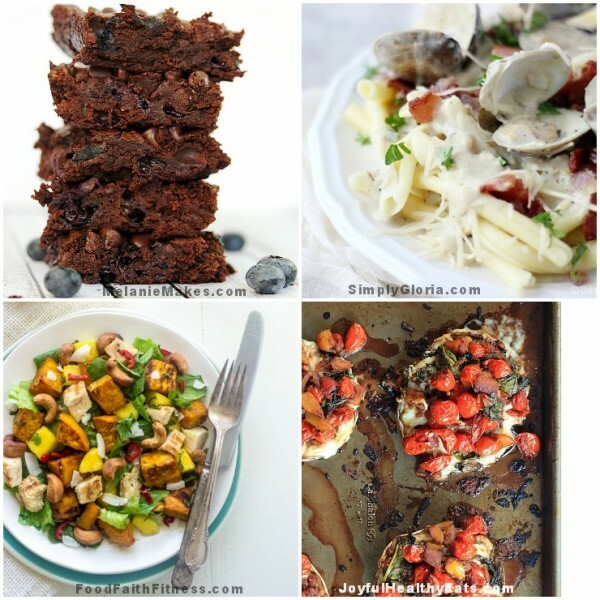 Lots of fantastic recipes and sites. Thank you for hosting. So glad to see you back! 🙂 Thanks for hosting! Have a great week! You are so sweet, Jaime! Thinking about you and hoping you stay safe with the flooding down there! GLORIA! You are back! I am SO SO happy! I have loved watching you enjoy your summer, it seems like you had an amazing time! Missed ya girl! Nancy, you just made my day! Thank you so much… you are amazing! Big hugs! !